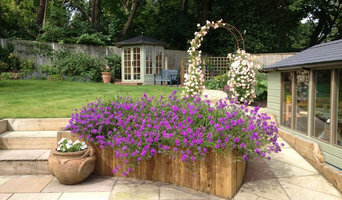 At The Marylebone Garden Co, we design and build inspirational gardens in Hampshire and surrounding counties. With over fifteen years of experience, we're very proud of our outstanding reputation. Our large client base has grown purely through word of mouth and we have worked with some of the country’s leading garden designers. Bay Landscape Design offers a bespoke service, tailored to the needs and ideas of our individual client. We pride ourselves on a friendly, interactive approach to the restructuring of landscapes. Design Practice with over 30 years of experience designing Domestic Gardens. From design conception, to completion and beyond, our studio is proud of the meticulous attention given to each and every one of our clients needs. Delivering uplifting gardens to ensure your garden or landscape supports your lifestyle, we aim to add value to your outdoor space. Whether a residential or commercial project, we will enhance your outdoor experience. I have been working within the landscape Industry for over 38 years now. I am a Member of the Landscape Institute, a Fellow of the Society of Garden Designers and a Rhs Associate of Honour. It's also with a great deal of pride that I have recently been bestowed an Honorary Doctorate in Design by Greenwich University. I have experience of all sizes of project from large scale public works and public inquiries to small gardens all of which I enjoy. I consider myself able to work in a number of styles both traditional and contemporary with each scheme being individual and tailored to the site, the client and their life style. Landscape and civil engineering contractors with qualified and security vetted staff. 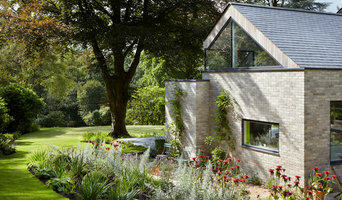 We are a landscape design and build practice based in Whiteley, Hampshire. Priding ourselves on both classic and innovative ideas, we strive to provide stunning landscapes for a multitude of users. ACLA Ltd has over 20 years experience in landscape architecture, landscape planning and environmental design. We have designed & managed a wide range of projects including landscape and visual impact assessments; master planning; commercial landscapes; housing developments; detailed hard and soft landscape designs; contract preparation & management and garden designs. ACLA ltd approaches each project on an inclusive and individual basis drawing on years of experience with landscape design, environmental planning and landscape related planning issues. No project is too small or too large, so please contact us for advice or a free quote.